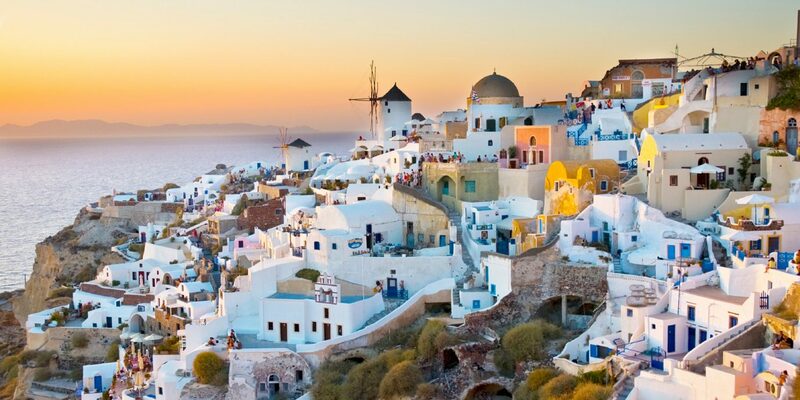 Dreaming of a Mediterranean getaway this summer? 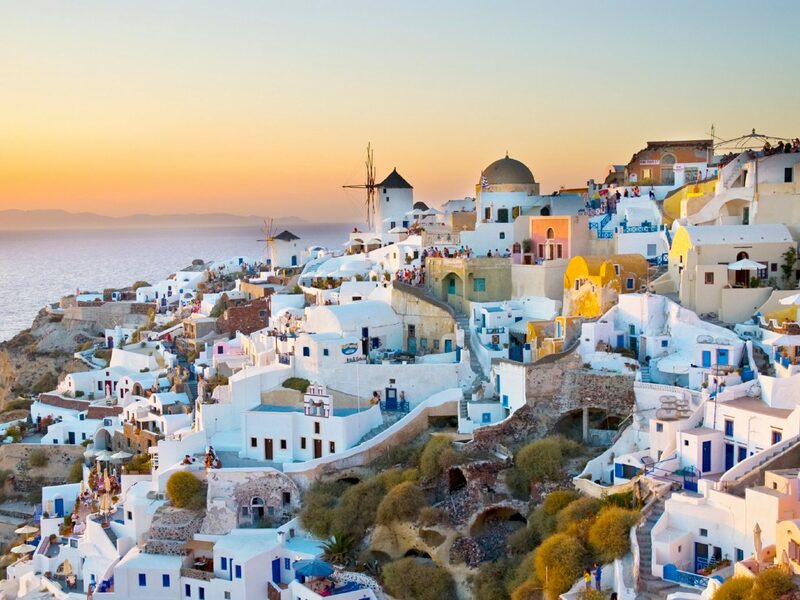 You can't go wrong with Greece, with its eye-popping blue water and gleaming whitewashed buildings that are as beautiful and unique as the country's 6,000 (!) 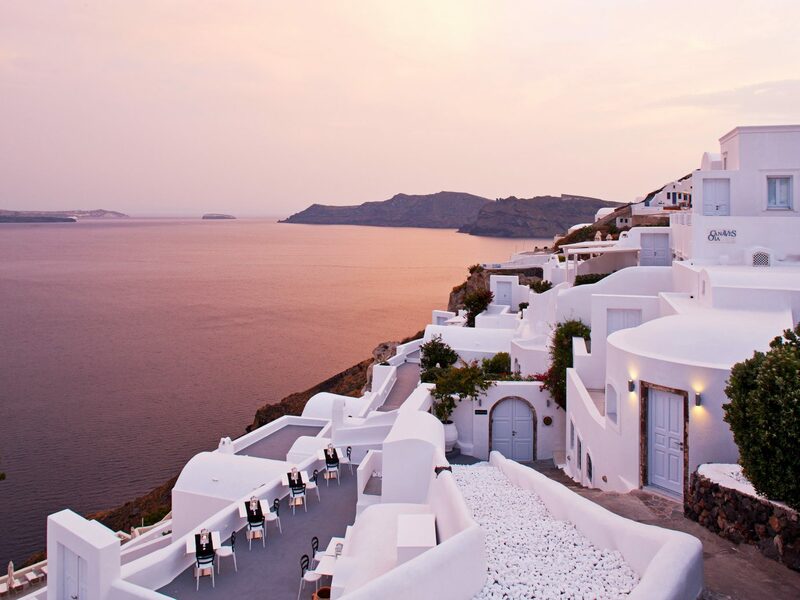 islands. 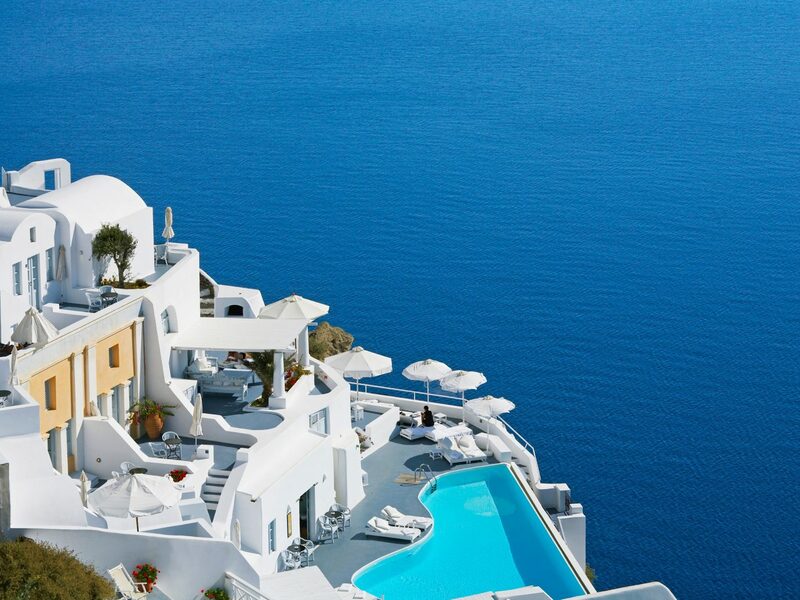 The only real problem you'll face is choosing where to stay. 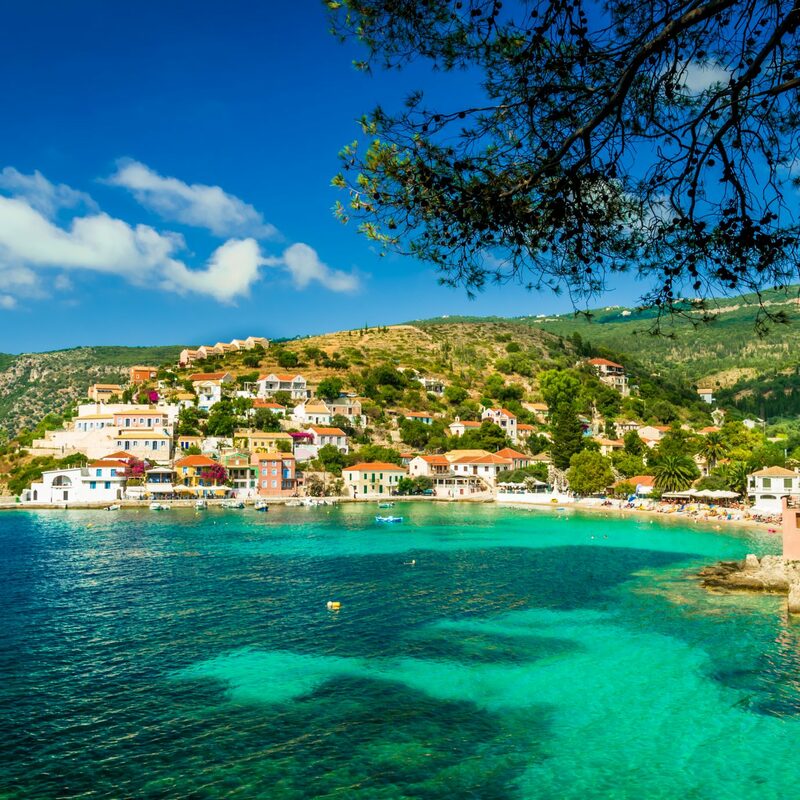 From luxury villas to charming hillside estates, we've rounded up the 10 best hotels on the Greek Islands. 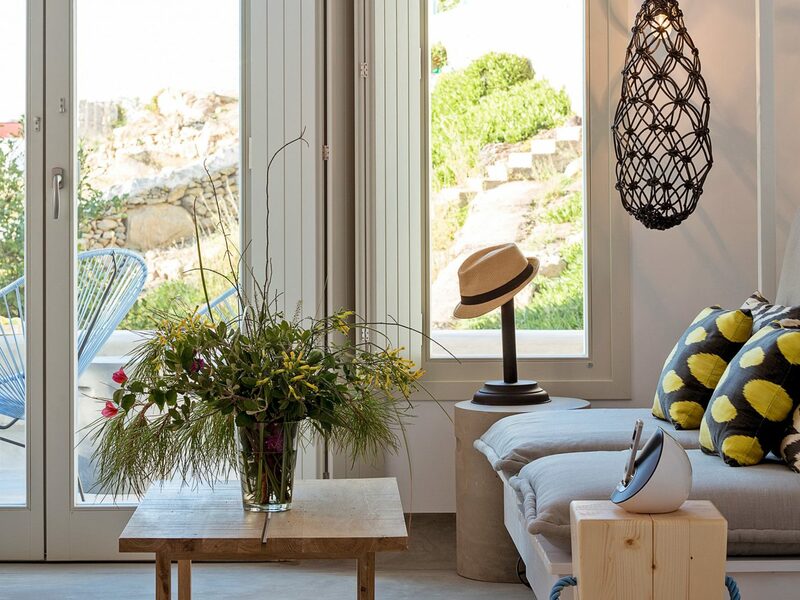 Staying in one of the 16 rooms at this cliffside knockout is like living in your own home, made all the more private by the fact that there's no sign outside. 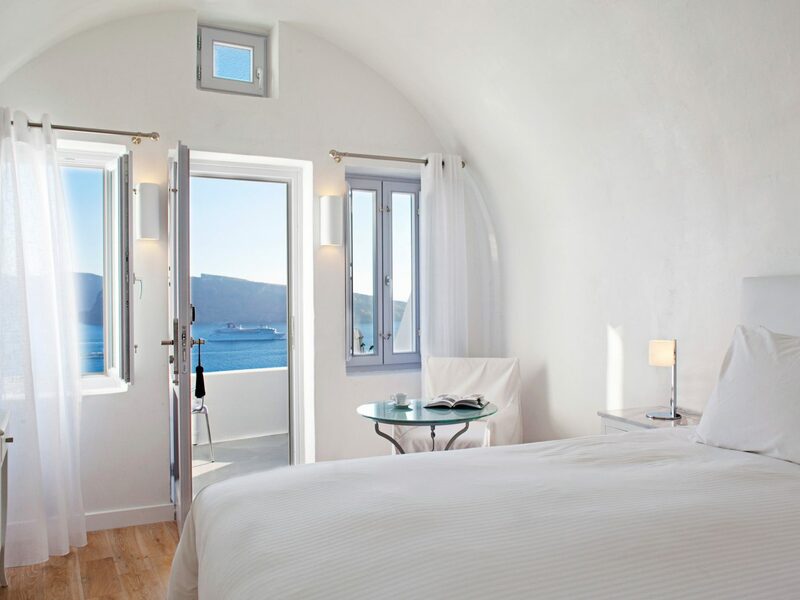 The look is typical (read: gorgeous) Cyclades—think sophisticated whitewashed walls, steep stone staircases, cave-like quarters, and raised beds positioned to look directly out to the caldera. 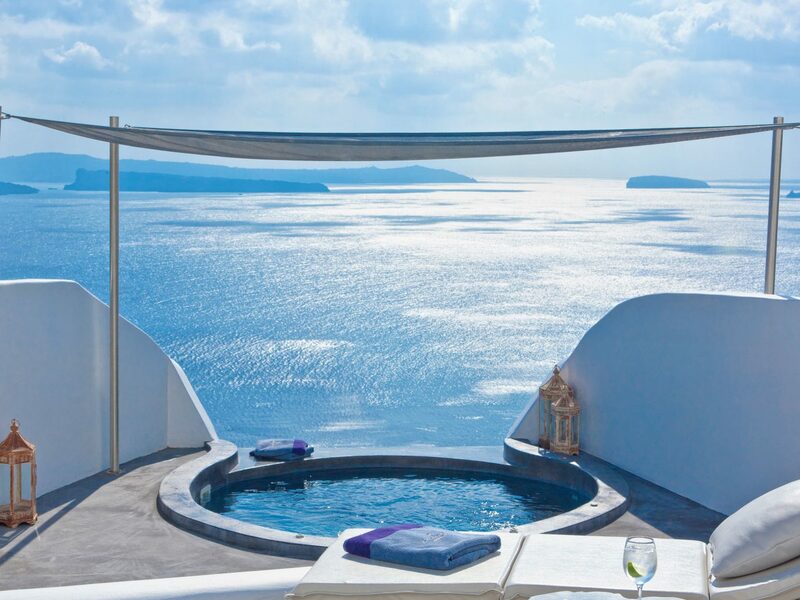 You’ll find romance in every detail, from the heated plunge pools that extend right to the edge to the wine tastings during sunset. 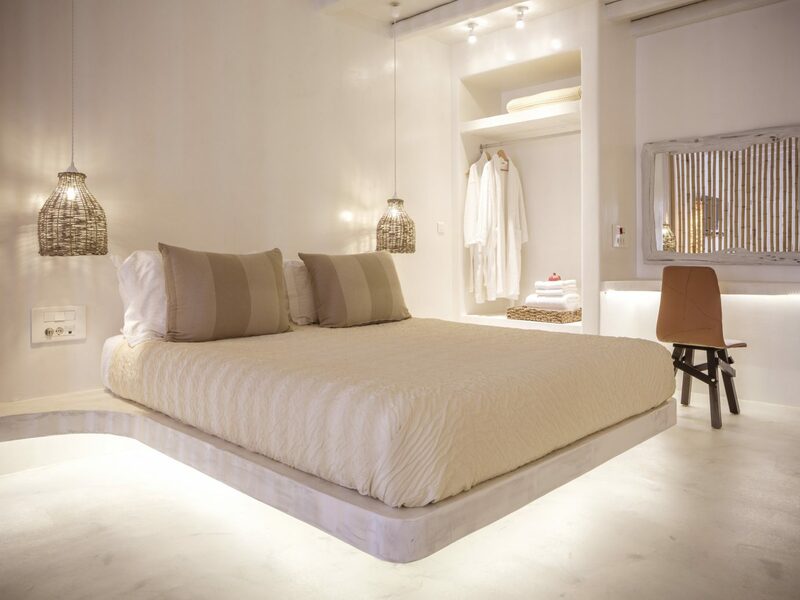 Is Katikies the most romantic boutique in Santorini? 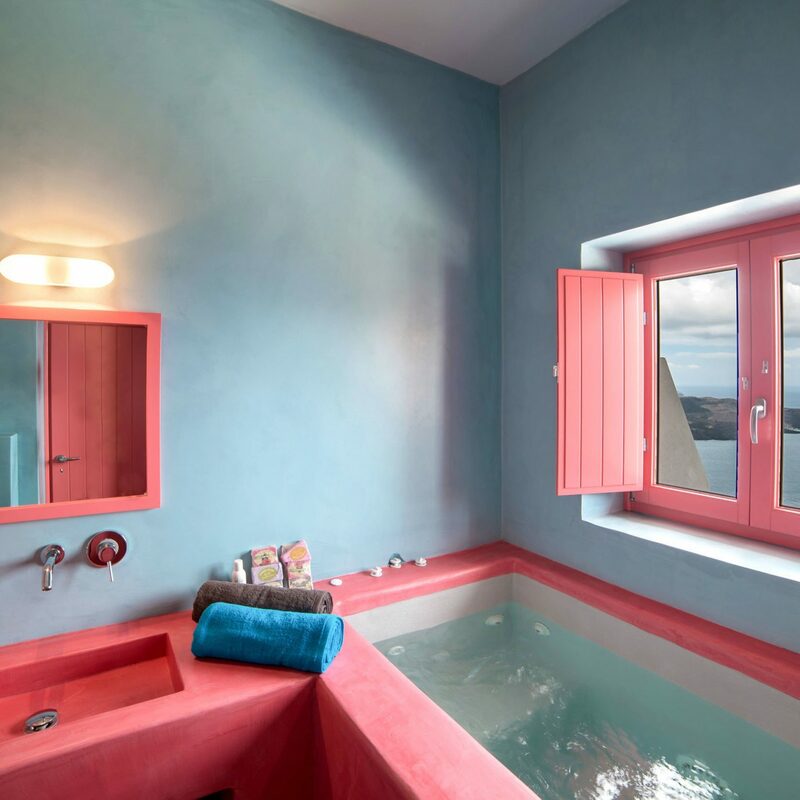 We’ll let you be the judge: 34 cottages overlooking the submerged caldera in the heart of Oia are modernist and spare, with arched ceilings, antique pottery, and loft bedrooms with picture windows—and even the most standard rooms have private terraces. 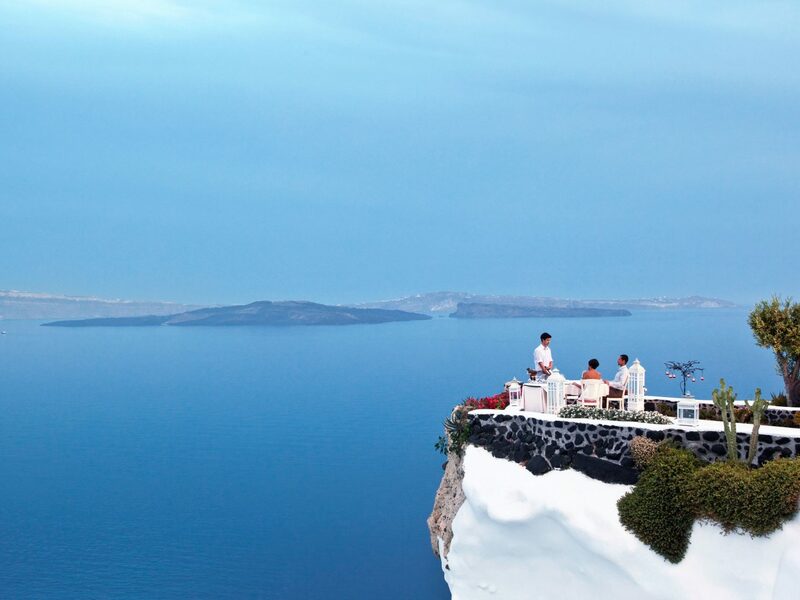 The people-watching on the open-air terrace at the hotel's Ellinikon restaurant is next-level, but if you want to take it down a notch, try the low-key Katikies, whose balcony features just four candlelit tables with staggering views. 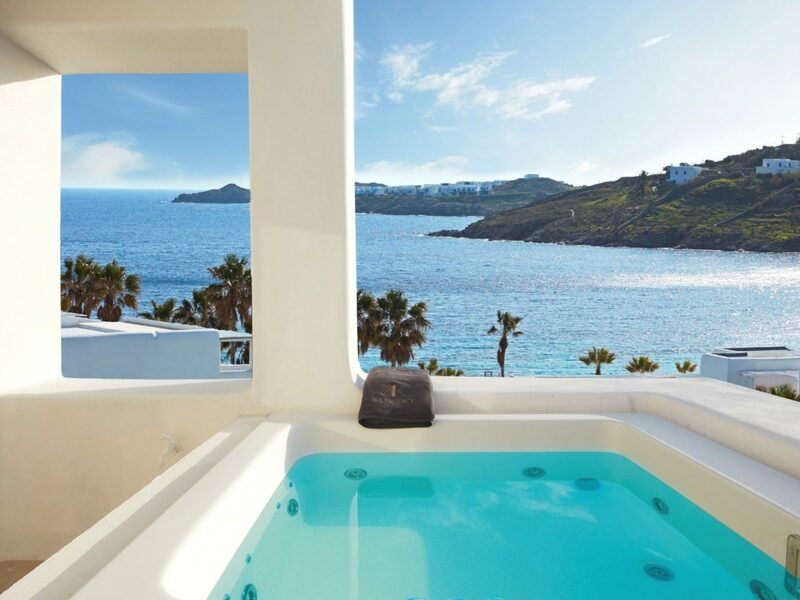 JS Tip: The honeymoon suites have their own outdoor whirlpool tubs, but you can find just as much magic at any one of the three communal infinity pools. 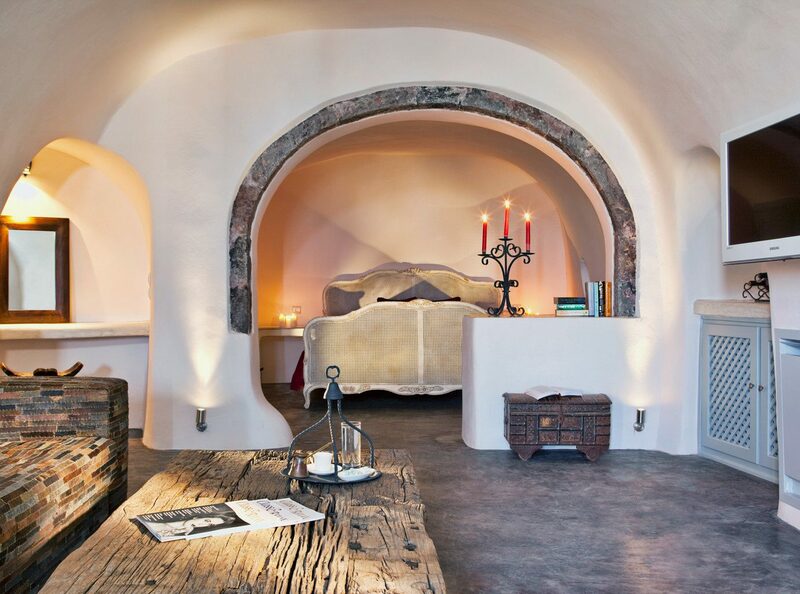 This stunning, seven-level boutique is a honeymooner's dream. 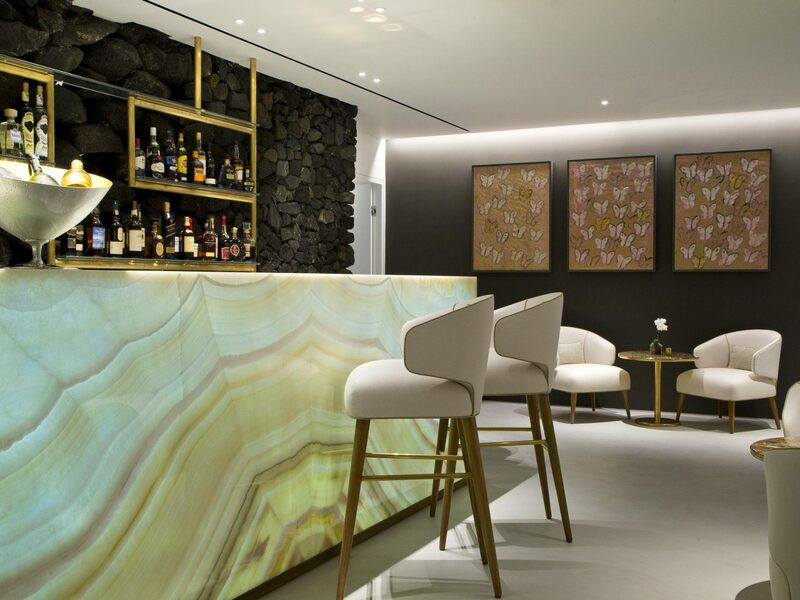 The architecture is a seamless marriage of modernist and traditional (with touches of contemporary art, mod furniture, and white everywhere) while the perks are tailored to guests' likes and dislikes, from the pillow menu to the room fragrances. 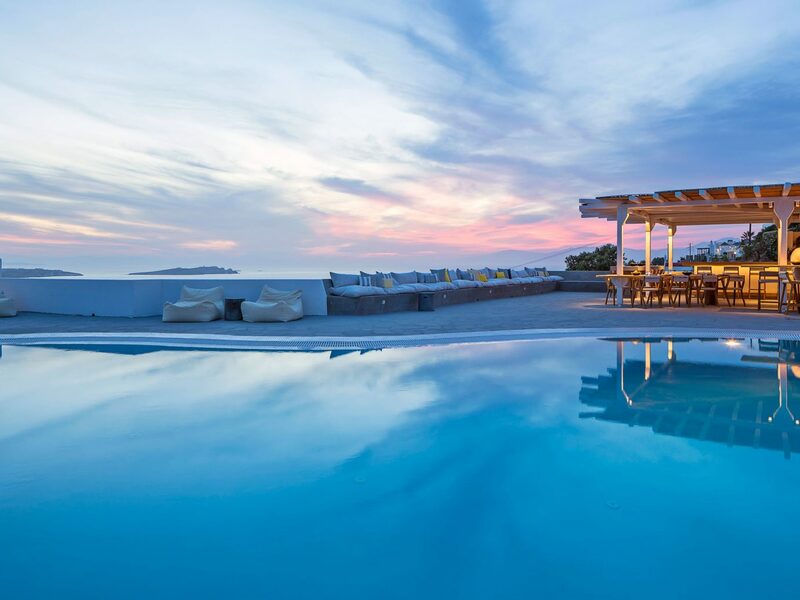 If the iconic infinity pool (not to mention plunge pools in each one of the 20 rooms) doesn’t provide enough wow-factor, the five-course breakfast menu—which includes champagne—surely will. 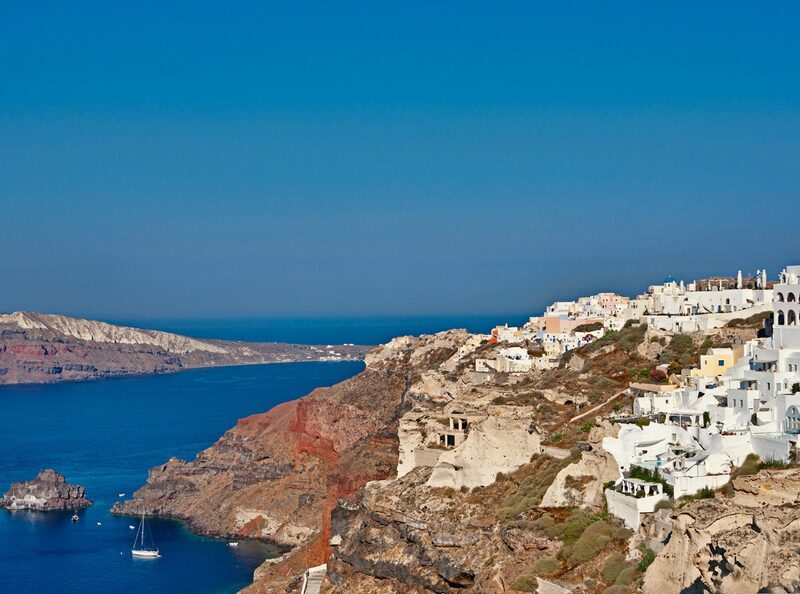 Its position right outside the entrance of Oia makes Canaves the perfect escape from the hustle and bustle of town, and with the views to show for it: Imerovigli and its surrounding islands on one side; Oia and the caldera on the other. 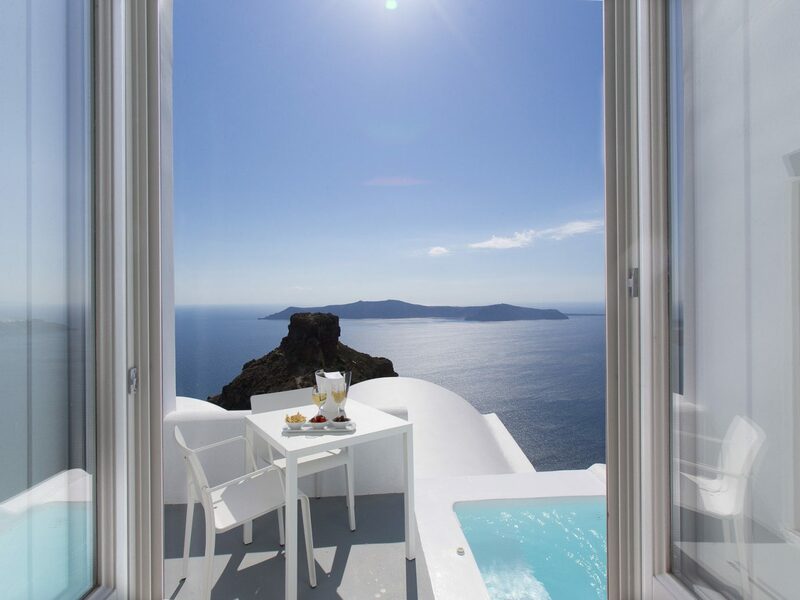 The 41 rooms and suites—typical Santorini-style digs—are divided between two properties, but both have tranquil pools overlooking the Aegean, restaurants serving fresh seafood and Greek wines with panoramic views, and a mood that remains both relaxed and serene well past sundown. 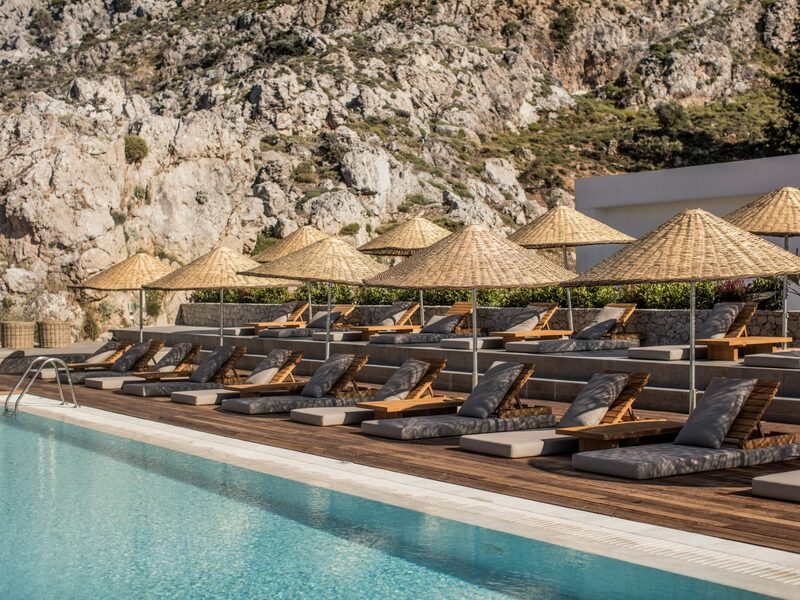 We love this hotel for its covetable spot on a hill overlooking beautiful Ornos beach. 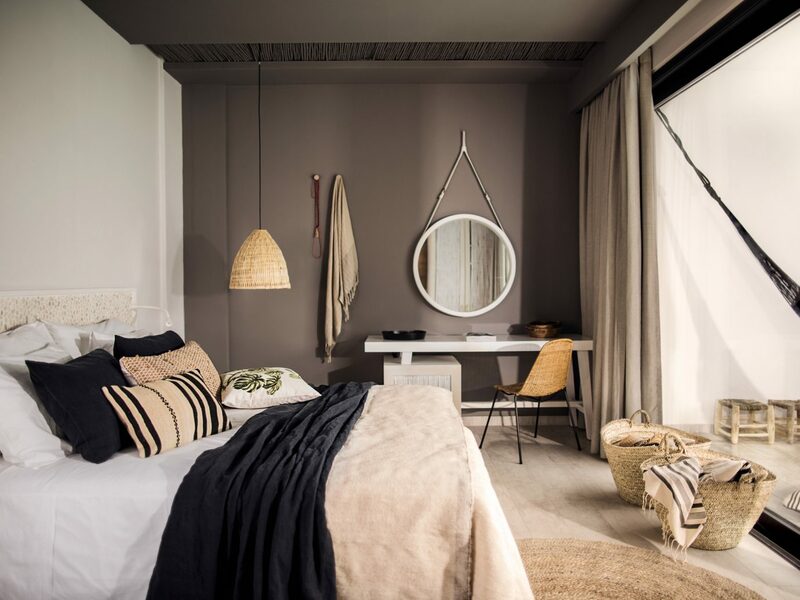 The look here is a mixture of bohemian and Cycladic chic—white walls, blond wood, copper light fixtures, and furniture by Italian brands like Riva 1920 and Patricia Urquiola in the guest rooms, while the layout is a maze of sun terraces and secret grottoes. 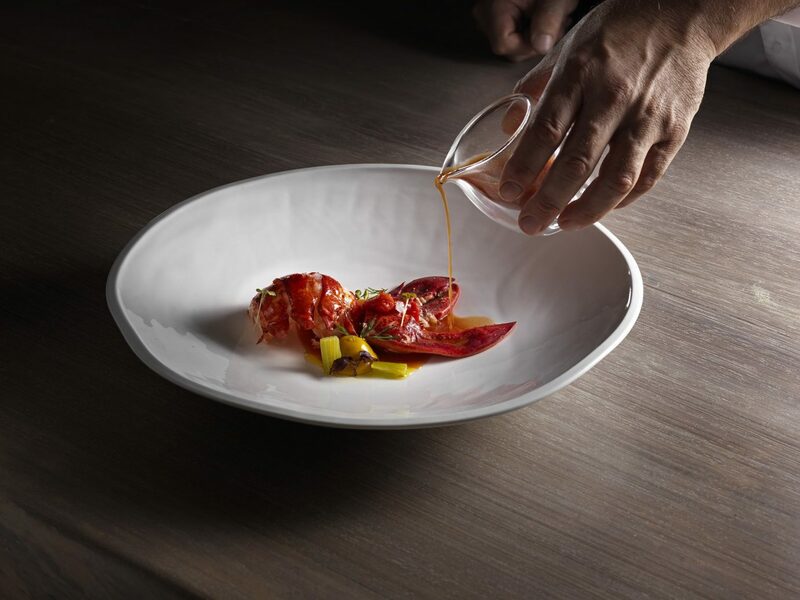 The restaurant is even more of a stunner with its rose-gold cutlery and plate-glass tables, but its chef George Stylianoudakis’s inventive cuisine, be it wagyu beef stifado or red mullet with artichoke and dill, that really shines. 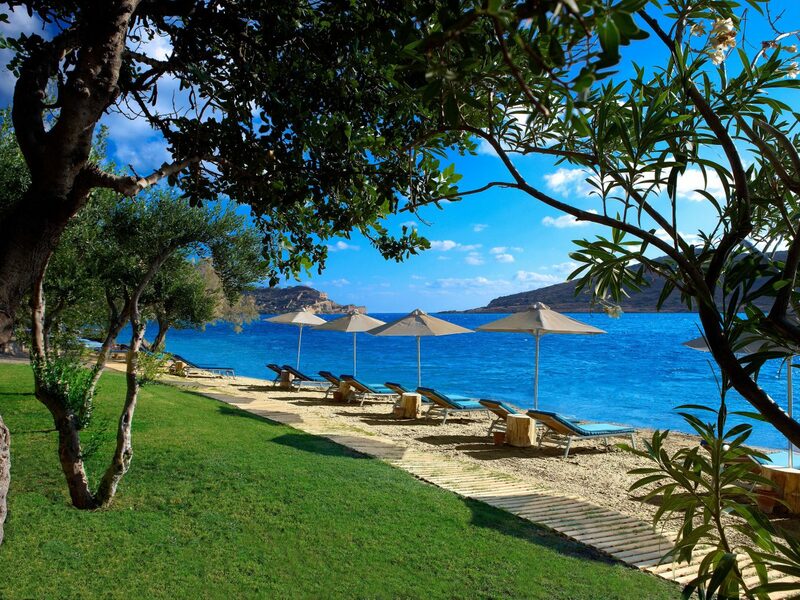 It may not be the most remote hideaway on the island, but it’s not trying to be. 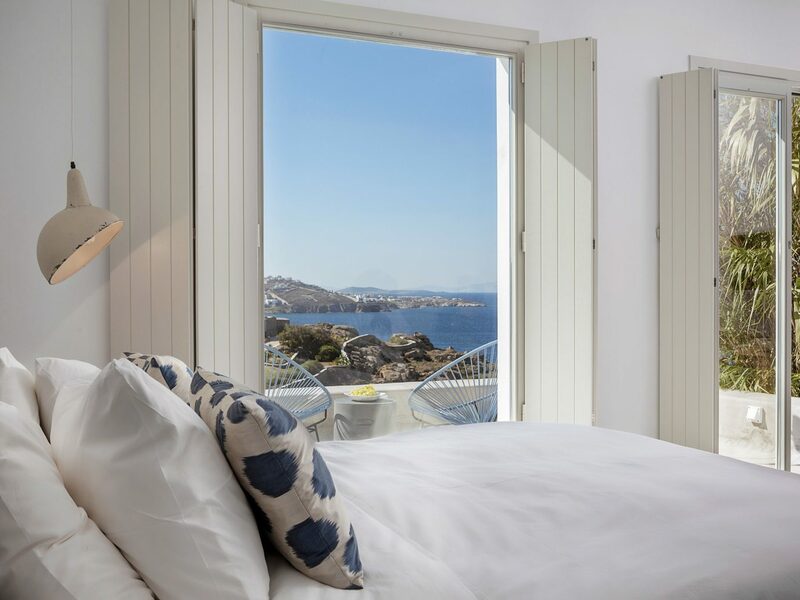 Boheme is for every traveler that’s wanted to enjoy the best of two-faced Mykonos—its surf and sun as well as the style scene of Mykonos Town, just a two-minute walk away. All 20 suites are bright and contemporary, with rope light fixtures and concrete floors, but unless you plan to extend your balcony-side breakfasts well into the afternoon, you'll spend most of your time on an oversize lounger or bean bag by the pool or at Bilo Bar, where creative cocktails are garnished with greens or lemons from the hotel’s herb garden—a perfect prelude to a night on the town. 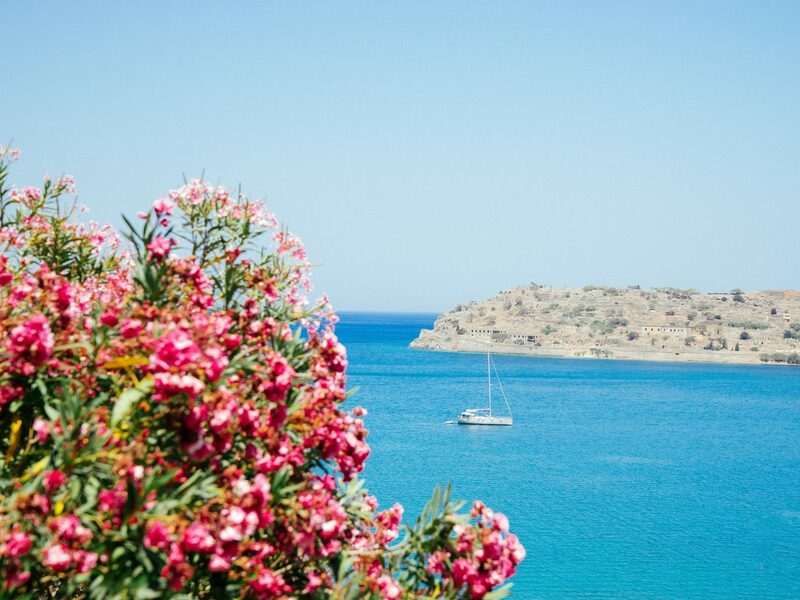 Celebrities and jetsetters flock to the fishing village of Elounda near Mirabello Bay, on the northern coast of Crete, for its quiet beauty, private beaches, and legendary hotels—including the one and only Blue Palace. 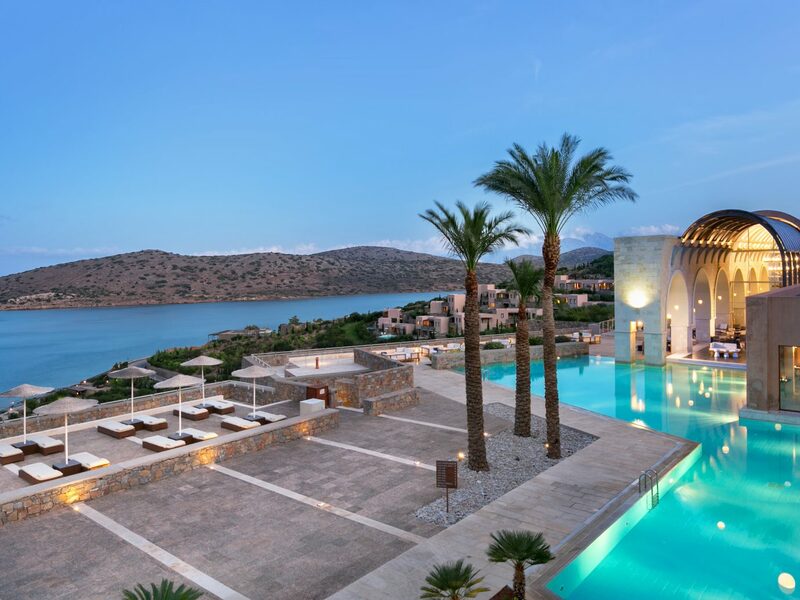 Like its home island, this is a big hotel, with 251 rooms and bungalows—many of which come with private plunge pools looking out towards Spinalonga island and the Crete Sea. 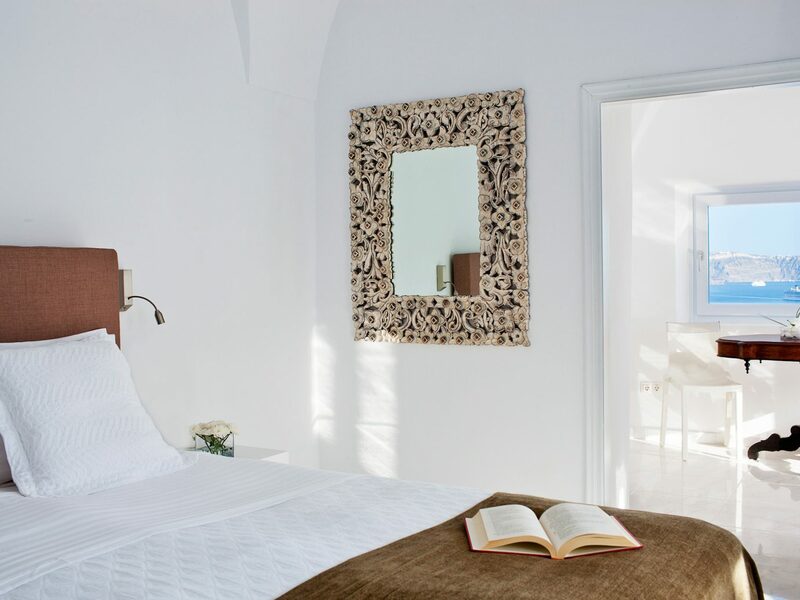 Everything blends perfectly into the sunny landscape, from the cream-and-wood guest room palette to the low-lying terraces and tiny manicured gardens filled with olive trees. 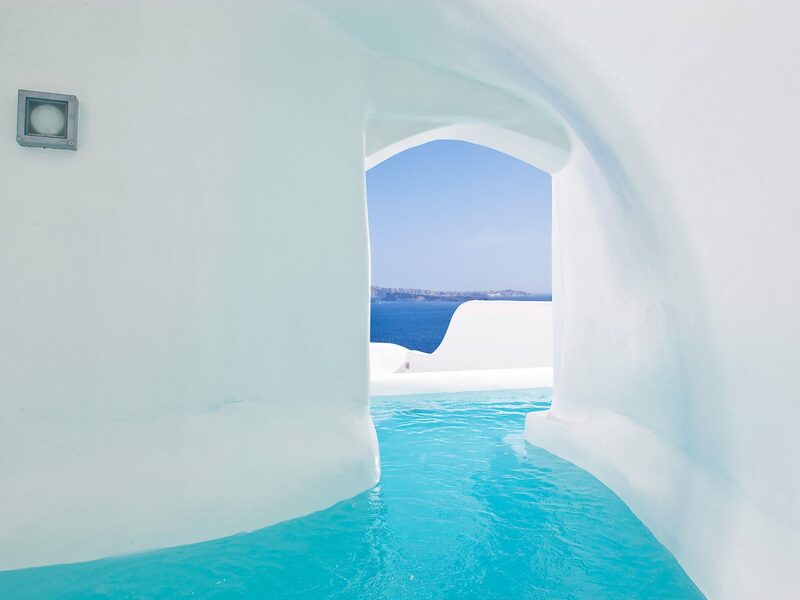 As expected for a hotel of this caliber, the Thalassotherapy Spa is fabulous, as are its five restaurants, from the tavern-style Blue Door built in a stone fisherman’s house on the water to the steakhouse, Flame, set under a vaulted ceiling. 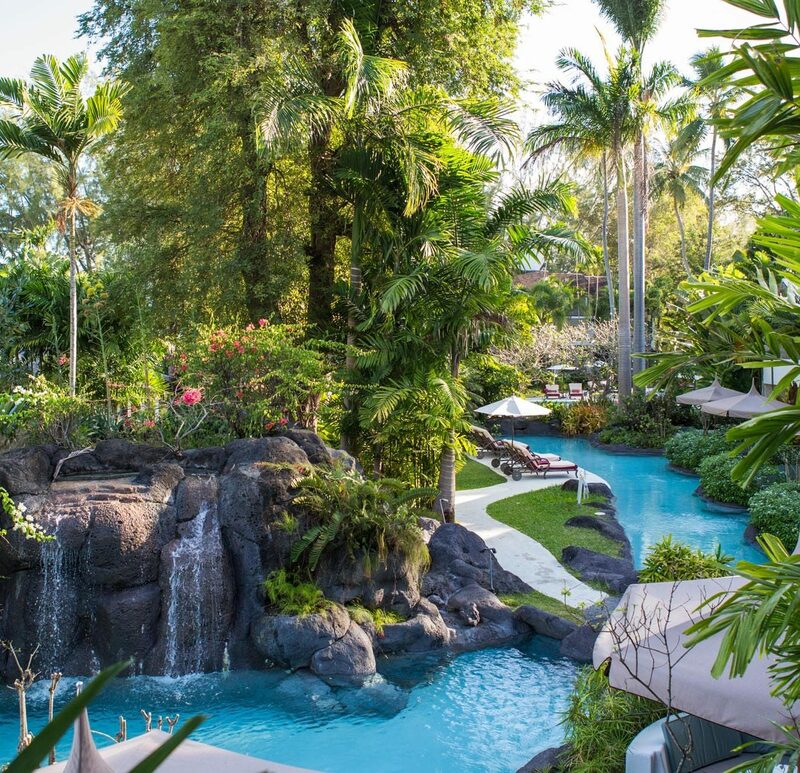 Families love this hillside hideaway for its laid-back atmosphere, multiple pools (including one that’s adults only), kid’s club, and private sandy beach, whose shallow waters are perfect for young swimmers. 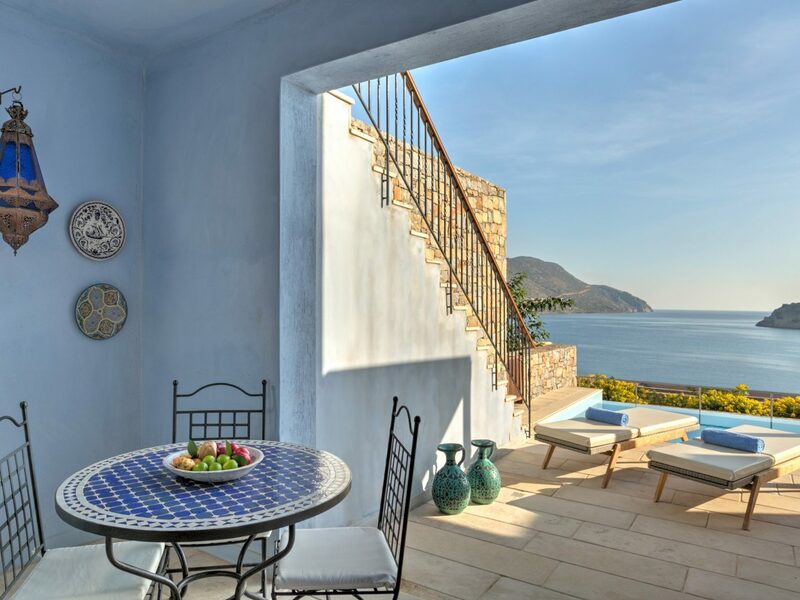 On the mainland, pathways wind through gardens shaded by olive trees and around its 118 suites and villas, whose artsy, Mediterranean-style interiors feature bespoke furniture and colorful fabrics. 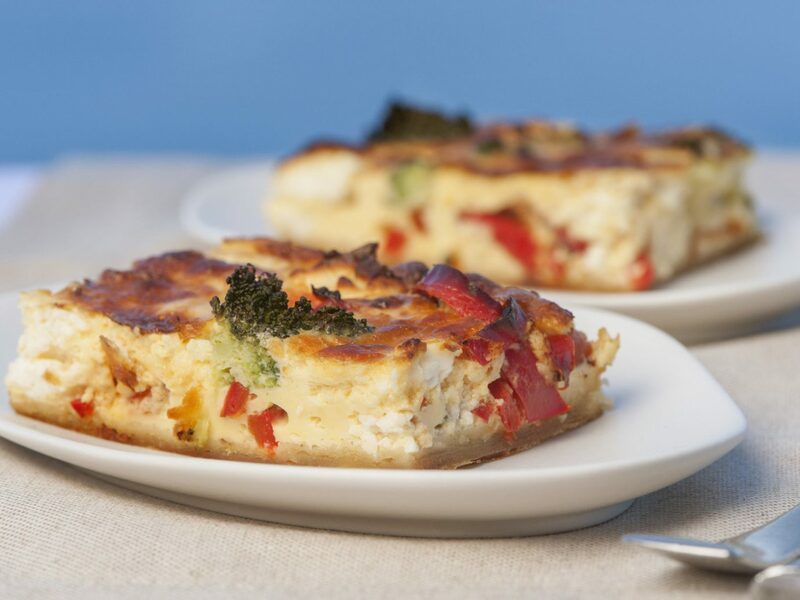 There’s choice to be found at the four restaurants, from sushi and curries to barbecue and steak. 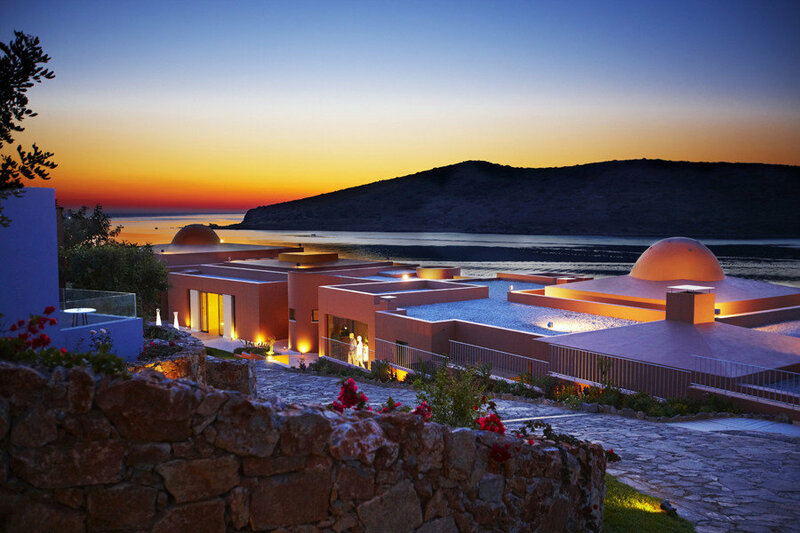 And before the kids head off to bed, adults can wind down the day with a sunset cocktail and live music at Grand Domes Bar, which overlooks the nearby island of Spinalonga. 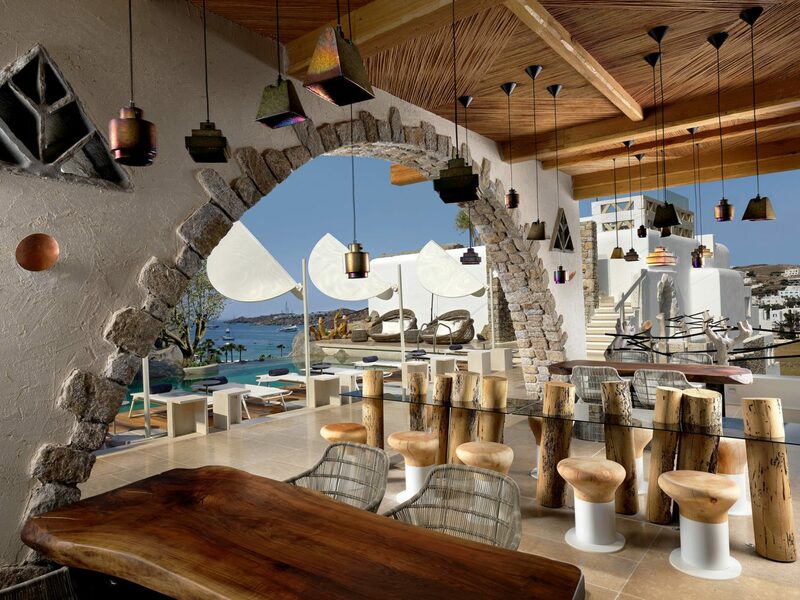 This adults-only oasis, in the Grecian village of Kolymbia on the island of Rhodes, is as bohemian-chic as they come. Every one of the 90 guest rooms, kitted out with tribal print pillows and wicker baskets, have semi-private pools with their own veranda and swinging black hammock. At the heart of it all is a see-and-be-seen communal pool deck, ringed by bark-woven umbrellas that give shade to two levels of oversize taupe loungers. Here, a DJ spins through the day and night while guests line up by the open bar for thirst-quenching cocktails. 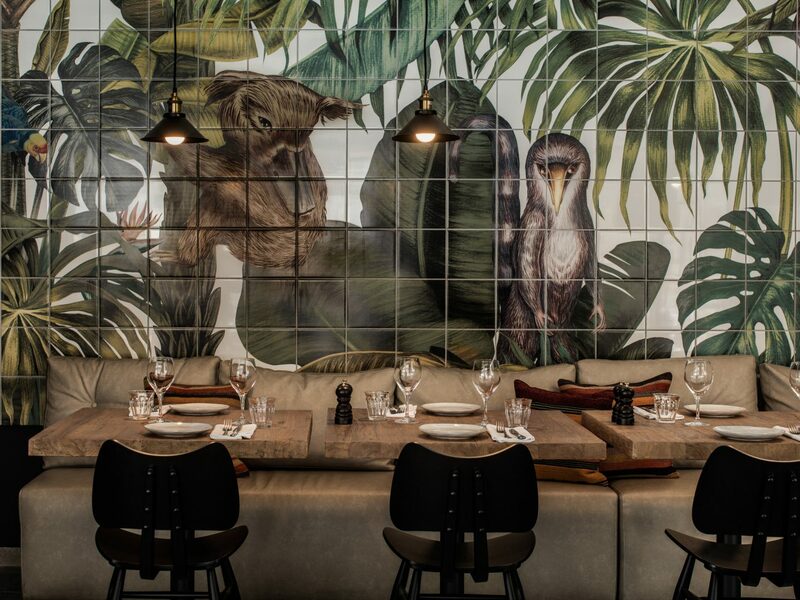 Another highlight: the stylish indoor restaurant, where teak tables and poolside views set the stage for dishes like grilled ostrich and saganaki. 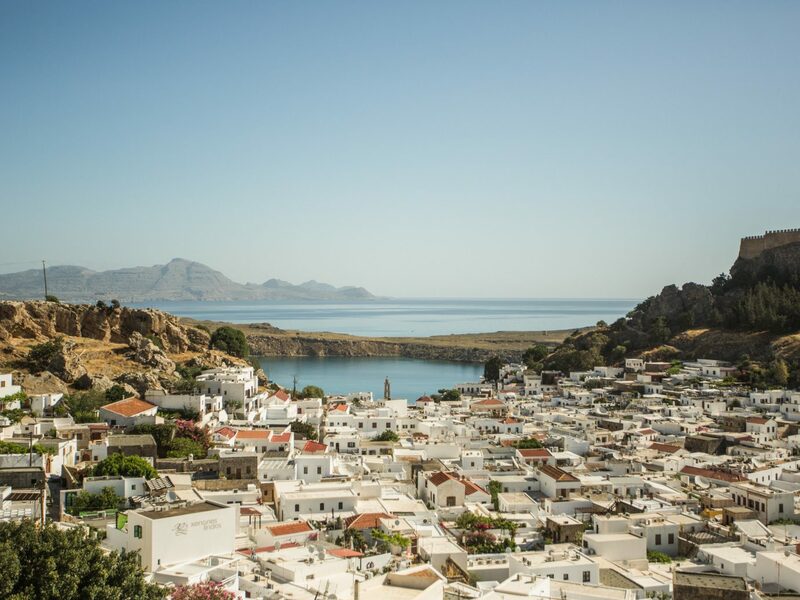 The largest island in the Cyclades is also the greenest, with lush valleys and gorges and traditional villages scattered across its high mountains. 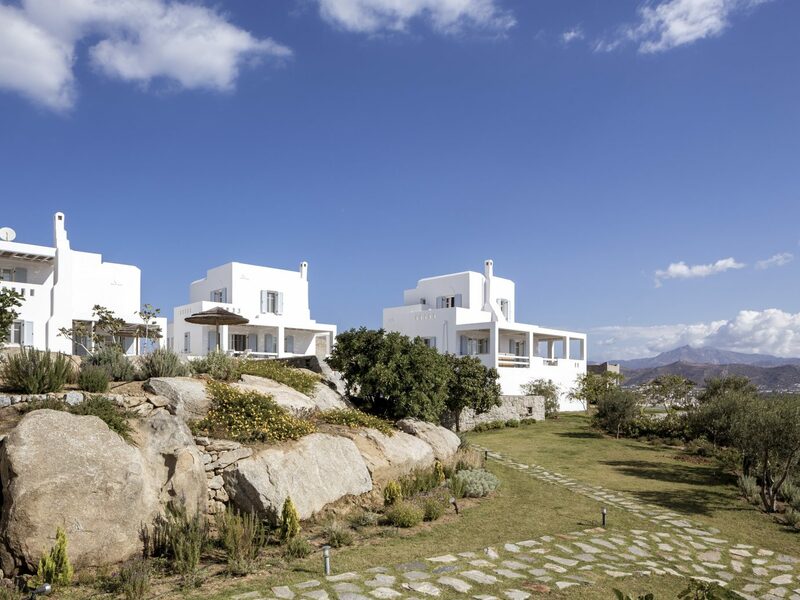 The place to stay: any one of the minimalist, white-washed villas and suites in the Naxian Collection, run by a local couple. 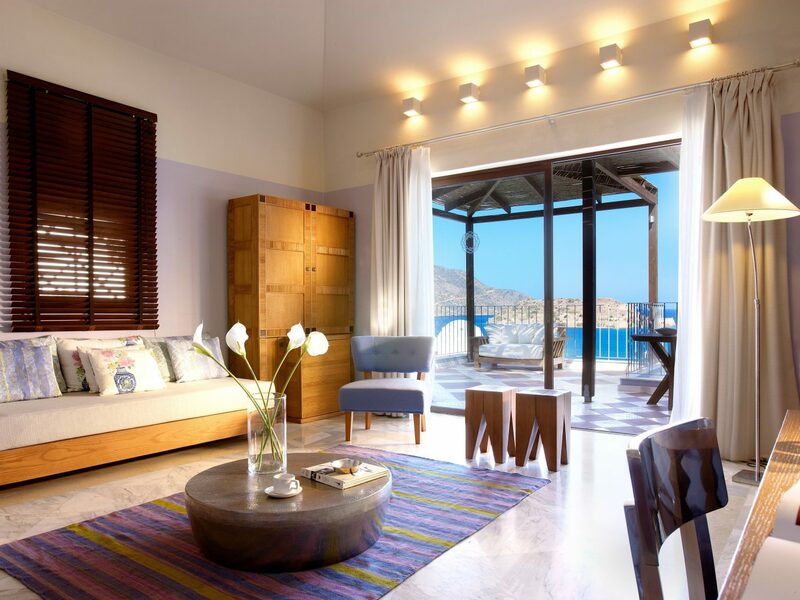 Rooms here are light and airy, with floating beds, ivory walls, and bamboo screens—all surrounded by verdant gardens. 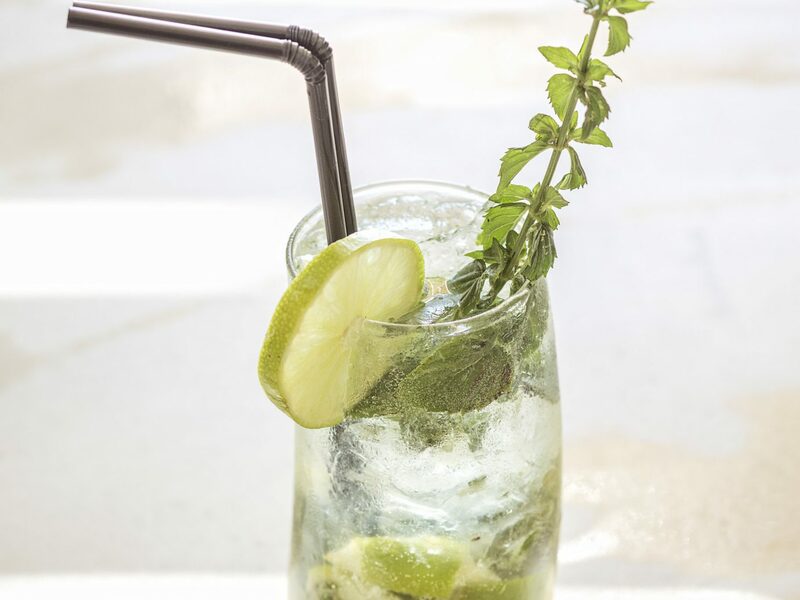 The property, which sources produce from ingredients grown in its own organic garden, vineyard, and olive grove, is all about the slow food movement. 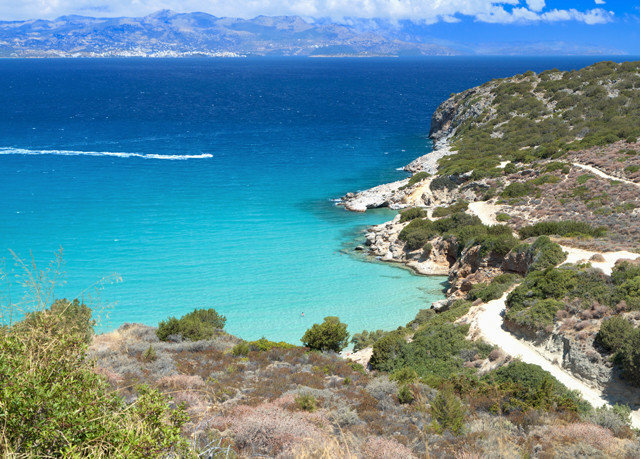 After a dip in the ocean and a stroll through nearby Naxos town, share a glass (or two) with owner Yannis in the wine cellar or take a cooking lesson with his wife Maria.